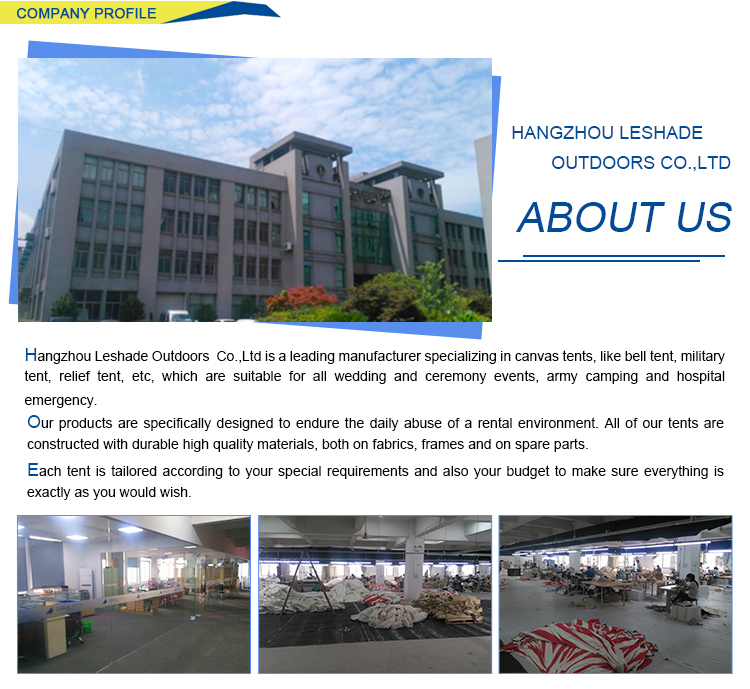 Fabric Carry Bag +Carton Box for Quality guarantee glamping customized waterproof canvas bell fabric for tent luxury. Q: Are you manufacturer or trading company? Q: Can I pay for the order through alibaba ? 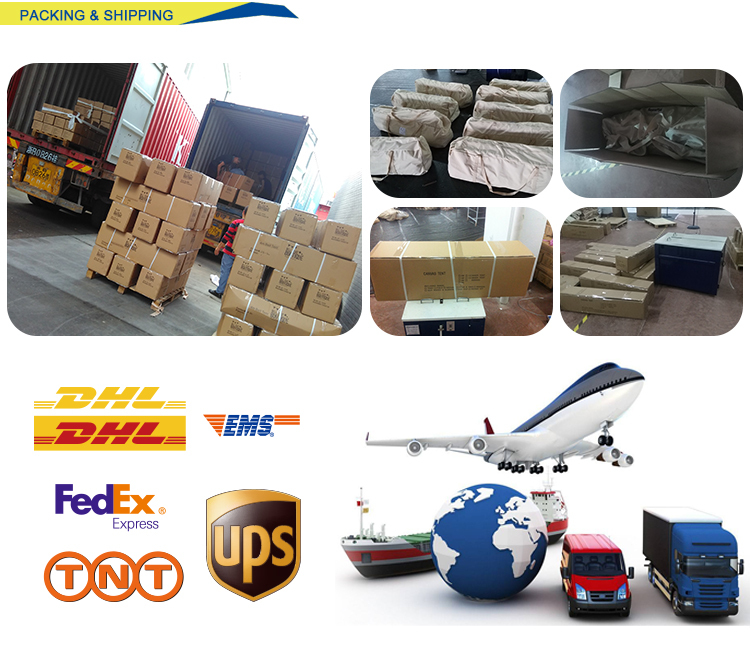 Yes , we are trade assurance supplier , you can pay for order through alibaba. but bulk order only . sample will be paid through PAYPAL. 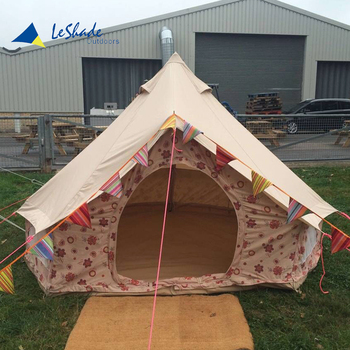 The bell tent MOQ is 50 piece . If we have inventory in warehouse . 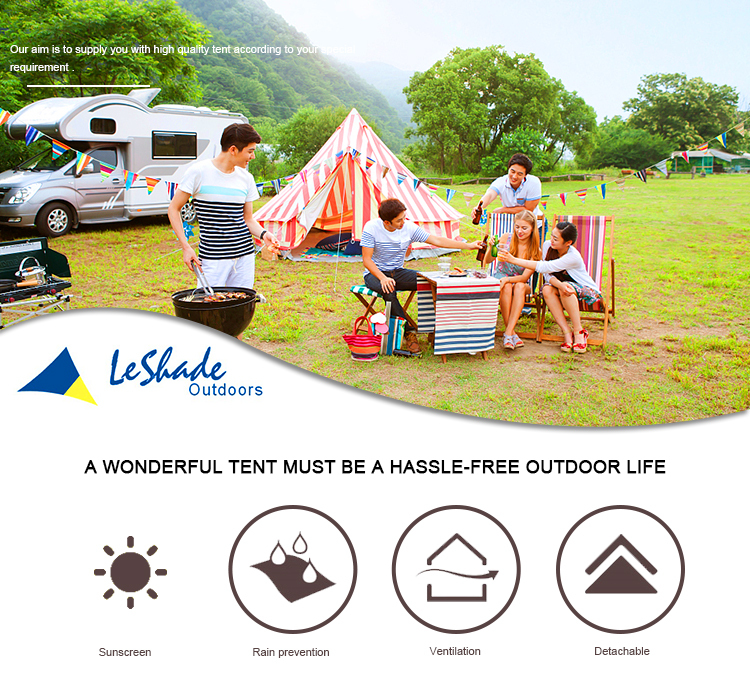 small order also ok.
Q: Can you put our logos on tent? Yes . 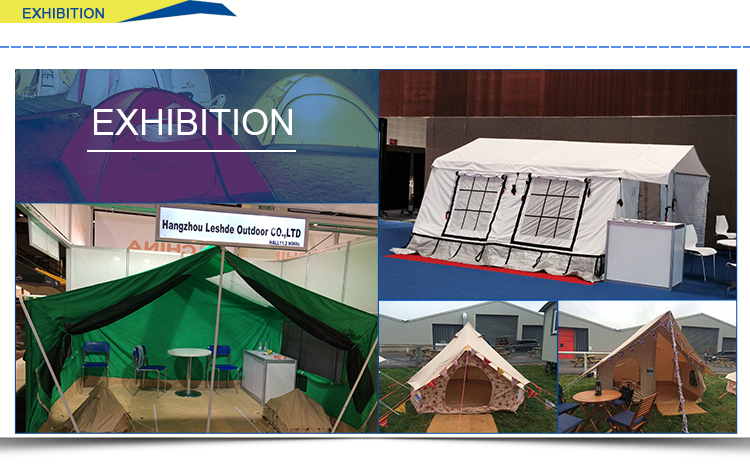 we can put your logo on tent , woven label or silk screent print logo. 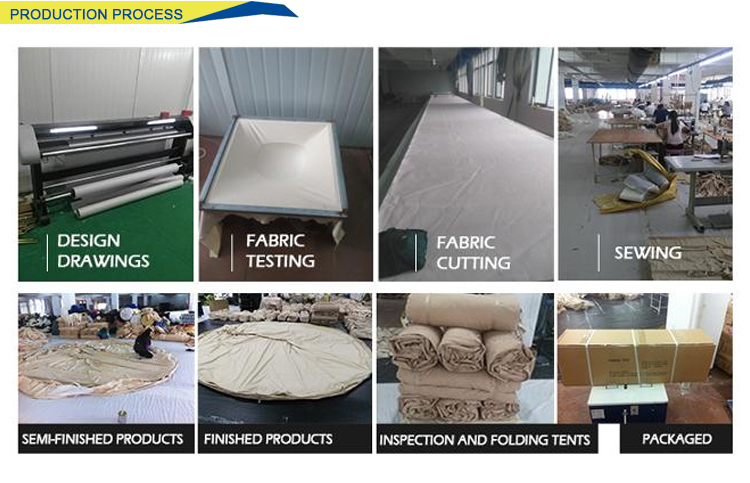 Q : What is the fabric of tent ? 100% cotton canvas and polyester cotton canvas. we also can custom made it according to your requirement. Q :Is the tent waterproof ? Yes , it is waterproof . Please note that cotton can, when new, let some water through and leak around the seams. After the canvas has been wet once this will no longer happen because of the cotton expanding. Q :Is the tent fire retardant ? The tent with fire retardant treatment . it can pass CPAI-84 and BS standard . but fire retardant does not eaqual fire proof. Q :Is the tent anti mildew ? The tent with anti mildew treatment .this made it mould resistant but not mould proof . please note that if canvas remains damp in a place where mould can grow , enventually mould will grow .If you put up in a damp corner of the garden next to a hedge or under a tree long term it will eventually get mouldy. Q :How should I store my tent? Always pack your tent away bone dry and store in a dry secure place. 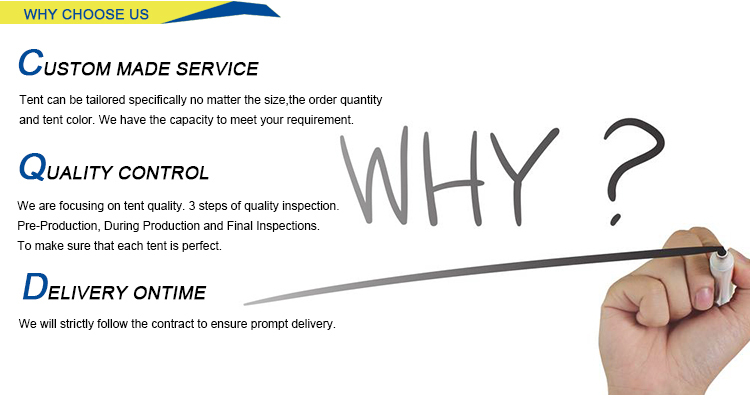 Q : What is the warranty of tent ? The warranty is 1 year.